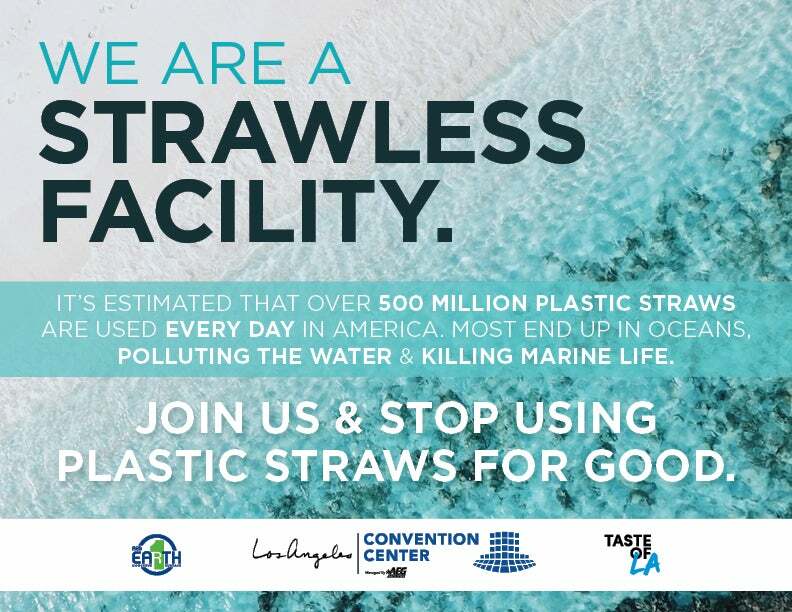 “The Convention Center isn’t just talking the talk; when it comes to sustainability, they’re walking the walk,” said David Hodgins, Executive Director, LABBC. The LACC was acknowledged for its 2.21 megawatt solar panel array, bringing the facility’s total solar power to 2.58 megawatts, making it the nation’s largest array on a municipal convention center. Since April 2018, the array has generated more than 3.3 gigawatt hours (GWh) and reduced facility energy use by 11.4 percent. 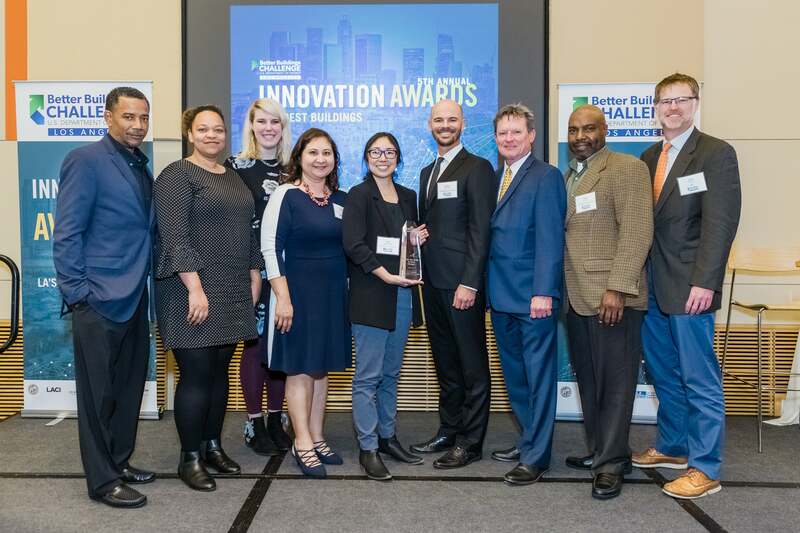 Other acclaimed LACC initiatives include the upgrade of more than 3,000 interior and exterior lights to LED lamps, saving over 1.5 million kilowatt hours annually and the installation of a 525,000-square-foot “cool roof” that reflects sunlight and heat away from the building. 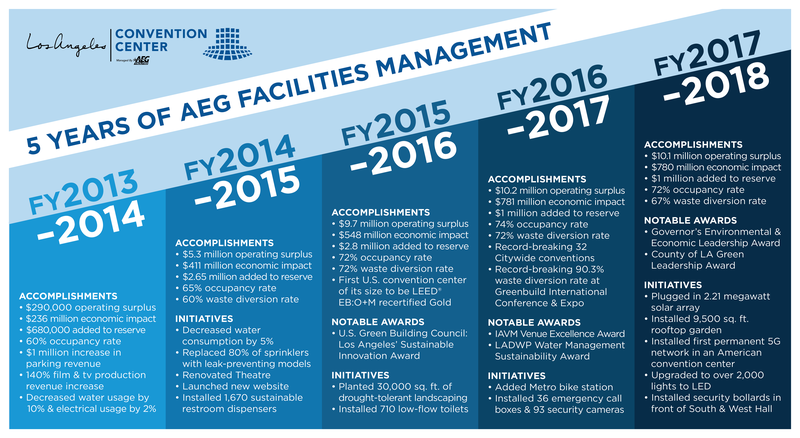 Under the management of AEG Facilities and by employing AEG 1EARTH strategies, the LACC has elevated and expanded its sustainable practices with the goal of decreasing its carbon footprint across five areas: Energy and Climate, Water, Waste and Recycling, Responsible Purchasing, and Education and Communication. In continuation of the LACC’s sustainability education and engagement, the facility will go dark for one hour on Saturday, March 30 in honor of World Wildlife Fund’s Earth Hour. From 8:30 to 9:30 p.m., the LACC will turn off its nonessential lights to join millions of individuals and organizations in support of climate action and protecting nature.